So now we have a basic map of creation based on the tetractys, using a combination of Pythagorean numerology, Neoplatonic cosmology, and Renaissance alchemy to describe how things come to be. In the beginning, there is the undifferentiated, divinely simple Monad, from which all things ultimately come. From this Monad comes a Dyad, the Differentiation between Light and Dark, or Heaven and Mundus. From these two principles comes a Triad, the three Alchemical Reagents of Sulfur, Mercury, and Salt. From these three reagents come the four Elements of Fire, Air, Water, and Earth. Collectively, they form the basic building blocks, processes, and guiding principles of all creation, starting from a simple and complete One to a myriad of forms through differentiation, change, and substance. It’s through the unification of these substances by means of alchemical processes and knowledge, or better, gnosis of principles that we reverse the process of creation to reattain Union, to ascend back to the Monad and Source. However, these units on the tetractys tell only half the story; they’re centers and ideas unto themselves, but on their own they can’t do much. They’re cut off from each other and don’t describe how things actually become, just that they do. This is where the other half of the Tetractys of Life comes from: we have the stages themselves, now we just need the processes that allow things to progress or regress from stage to stage. These paths, much as the paths on the Tree of Life in Jewish kabbalah or Hermetic qabbalah, describe how power and essence flows from one stage to the next in order to produce creation or guide henosis, and this is where we combine our meditations on the Greek alphabet with those on the tetractys of emanations. However, in order to make use of them, we first need to actually figure out what the paths themselves should be and what spheres they should connect on the tetractys. 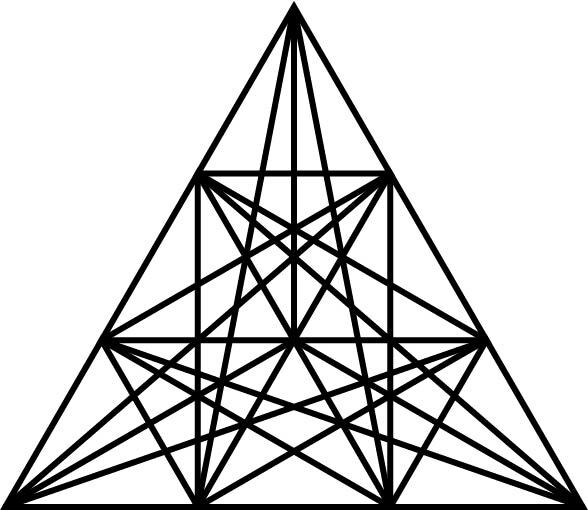 Also, as a side note, let’s start calling the individual units of the tetractys, when using them as alchemical/planetary concepts, as spheres. Just to make that clear. We know that all things are ultimately connected to and come from the Monad. 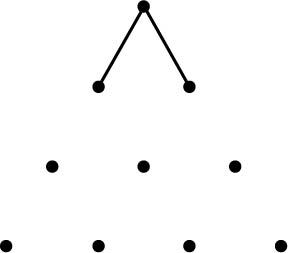 However, we run into a problem that’s similar to one on the Tree of Life in kabbalah; we can’t reach many of the spheres directly from the Monad since they’re blocked by other spheres. For instance, although we might want to connect the sphere of Light with that of Fire, we must first travel through the sphere of Sulfur. 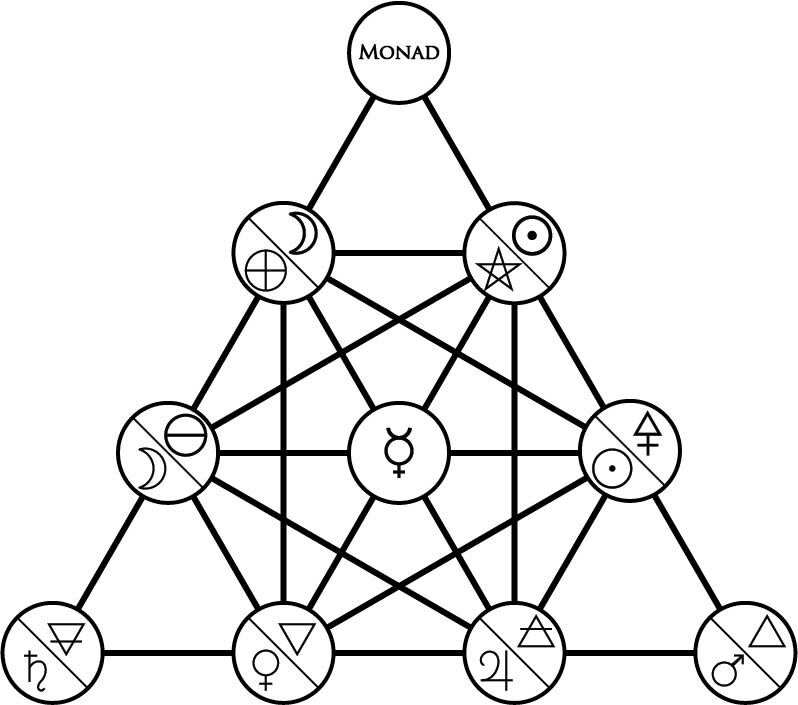 Thus, without trying to “skip” the spheres that block its way, the Monad can only connect to the two spheres immediately below it (Light and Darkness) as well as Mercury in the third row (since that way isn’t blocked by another sphere. While it looks nice and is as fully connected as we can get, it contains 33 paths, which is nine paths too many for our needs. Remember, we need to aim for a set of 24, one for each of the 24 letters of the Greek alphabet, which themselves encompass all number. Honestly, I dwelled on this for a good few days, trying to figure out how to best create a set of paths with a coherent logic; some made sense in some ways but felt jarringly off, and others just couldn’t add up to 24 even though the logic was nice. Eventually, I settled on a way that made sense and had the right number of paths, as well as feeling “right”. 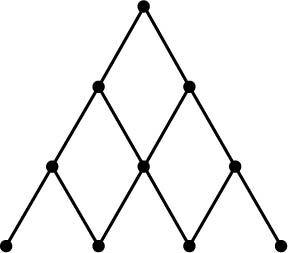 Since all things contain the Monad within themselves and emulate the actions of the Monad in their own limited way, every point on the tetractys that has a lower level can be given the same two paths. 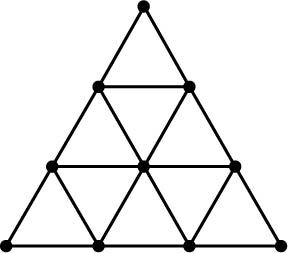 This is the same as in the generation of Plato’s Lambda (based on geometric series of 2 and 3 and their intermingled products), or Pascal’s Triangle (which is based on the addition of units). This, then, gives us a set of 12 paths. We’re halfway done! 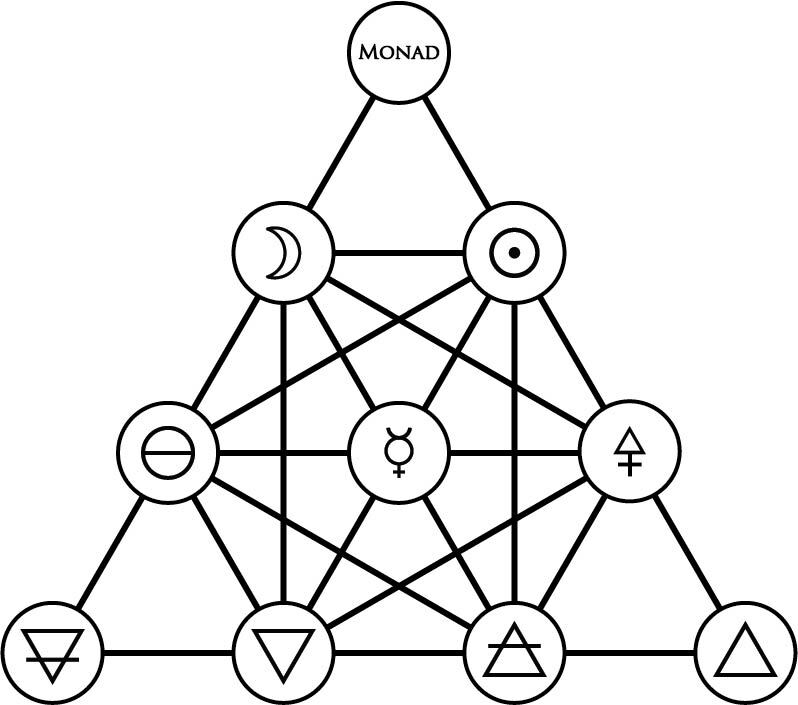 One option for adding on a set of three paths would be to connect the spheres of the Monad, of Earth, and of Fire to the center sphere of Mercury. After all, Mercury is common to all things and is present in all substance, right? While it’s a convenient reason, it doesn’t actually hold up. 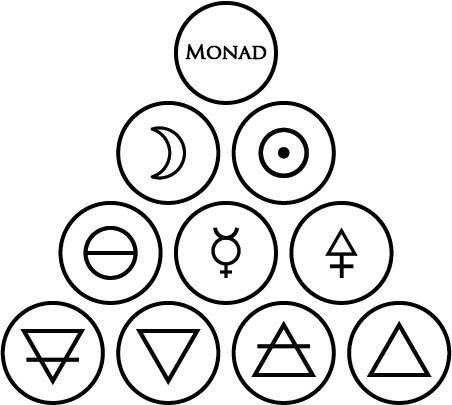 First, the Monad doesn’t actually have to connect to anything except the two spheres right below it; as an undifferentiated One, the only thing it can possibly do to become anything more complex is to become Two, after which Two can become Three. So, the Monad shouldn’t connect to Mercury, although we might consider Mercury to be a “lower register” of the Monad in a more manifest way, being a hermaphroditic Reagent between the polarities of Salt and Sulfur. For a similar reason, Earth and Fire shouldn’t connect to Mercury, either, since Mercury isn’t actually in them; Earth is the most passive of all the elements, being something like the caput mortuum, or the worthless remains or “dead head” without any Spirit left in them; likewise, Fire is already too hot for Mercury, and is what takes spirit out; there’s no volatile Mercury in Fire because Fire is the action of Spirit. 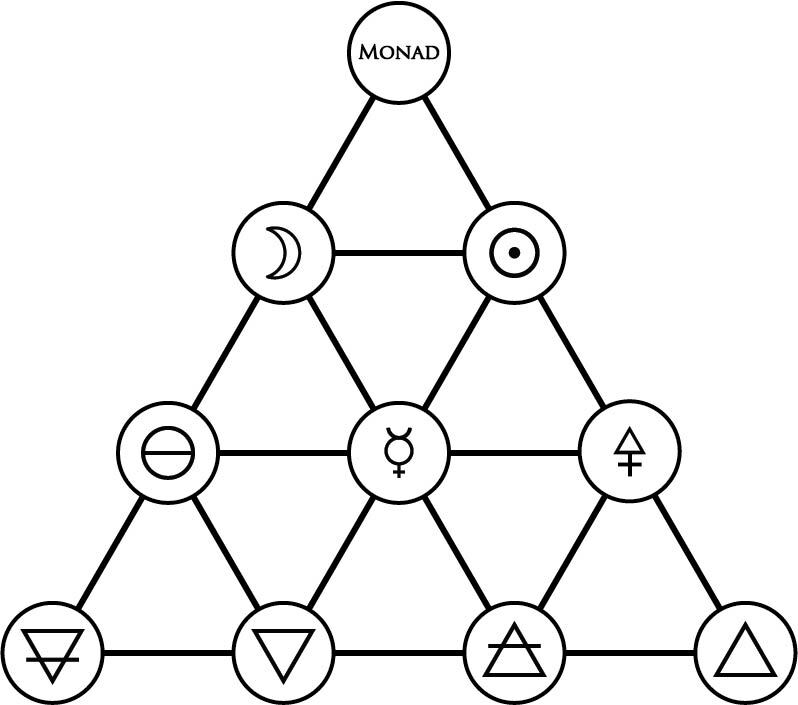 Another option to add a set of six paths, which would bring us up to 24, would be to connect the Monad to the fourth row to Water and Air, Earth to Light and Sulfur, and Fire to Darkness and Salt. 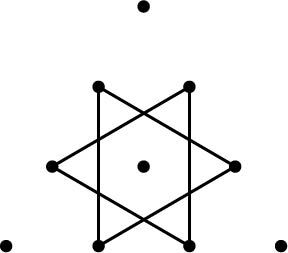 However, if anything, this is worse than the previous attempt, since all these forces are even more distantly connected and different from each other. So it’d seem like the outermost points of the tetractys are too “extreme” to be connected any further than the two paths they each already have. 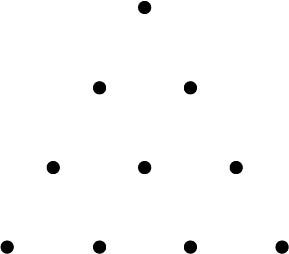 These nine possible paths, connecting each extreme point to the center point as well as to the two center points on far side of the tetractys, aren’t going to work for our purposes. So, what do we know? We know of 18 paths we should definitely have, and of nine we shouldn’t. We have 18 + 9 = 27 paths we’ve considered so far, and 33 – 27 = 6 paths we haven’t yet. What are those leftover six paths? Here, we have the median two spheres of every side of the tetractys connected to six other spheres, making these spheres all fully connected while leaving the extreme spheres connected only to their most closely associated concepts, both on their own row as well as to their neighbors. This allows anything “middling” and not extreme (pure unmanifest, base passivity, base activity) to become anything else, including on a different level of manifestation. For instance, Darkness is able to descend into the purely dark reagent Salt or the hermaphroditic reagent Mercury, but can also be involved in the creation of the dark (feminine) element Water as well as the active reagent Sulfur. Darkness becoming Water makes sense, as does its corresponding opposite of Light becoming Air, since based on the structure of the tetractys we can claim that Water and Air are “lower registers” of Darkness and Light, much as Mercury is of the Monad itself. Darkness becoming Sulfur, though? It seems a little odd, but I claim that this works because the Three Reagents come from both the Two Principles, as a balance needs to be struck within each instead of solely by means of Mercury. Similar reasons apply for Light being connected to Salt, Salt to Air, and Sulfur to Water. So, with all of this done, we now have 24 paths on our Tetractys of Life. Each path represents an ability to shift or change, a process between the stages or ingredients that the individual spheres on the Tetractys represents. Some spheres cannot be connected to each other because of the need for intermediate stages (a path is interrupted by another sphere between the ultimate origin and destination spheres), or because a sphere is too extreme to be connected to another (a path cannot connect the outermost points of the Tetractys except to its two closest neighbors). Now that we know of the possible means of transitioning between spheres on the Tetractys, we now have an even stronger tool at our disposal for meditation: the ability to meditatively or contemplatively explore the transitions themselves as processes of change between the stages indicated by the spheres. While we haven’t gotten into the assignment of letters to the paths just yet, there’s still more analysis to be done on the different ways to divide the paths based on geometry and position, which will help to inform us on how to assign the letters to the paths as well as to guide us in meditation of divine concepts and divine names. Very nice! What I also like about this is that Hermes is central to the system, fits him well, as messenger, psychopomp, and channeler/magician, although I have to think about why he does not have access to all the spheres. It makes sense to me, though it’s important not to get Hermes the god mixed up with Mercury the alchemical reagent. Mercury, in this instance, is present in all things that are mixed; it is the essence of change and mutability. Earth and Fire, however, are elements that are extremes and are, in a sense, “pure”, as is the divine simplicity and unmixed undeveloped entity of the Monad. These three things are not mixed, and so have no Mercury in them. Looking at it mythologically, Hermes is the eternal go-between, always interfacing with anything that can be interfaced but never identifying with them. He is the one who’s always within something but never a part of it, keeping himself apart though among. Relating it to here, Hermes/Mercury connects to all things except the most extreme aspects of the cosmos that require full identification and commitment: pure material death (Earth), pure spiritual consumption (Fire), or pure henosis (Monad). Awesome insightful reply. Thank you! This answers questions I had, so won’t bother asking. You seem to be forming a nice structure here; one that is direct and simple to access, yet complex enough to include many features which appeal to me personally for a variety of reasons. Nice work. I’m enjoying this series of posts a great deal. The next post in the series (going up in about 15 minutes, as it turns out) will give an example of focusing on the paths using permutations of the name IAO. It’ll be a prelude to the tenth and final post where we actually go through and plot the 24 Greek letters (as well as their numbers and esoteric symbols) onto the paths. It’s structured, and I have the feeling that it needs tweaking and testing, but it’s a good start, in my opinion. I’m glad you’re enjoying it, and I hope it helps many of us besides just me. .:. Tetracti The Future . :.